If your child drinks a lot they will require more frequent diaper changes. You’d think I would grasp this simple concept. Our son desperately wanted chocolate almond milk (it’s actually really good!). It was that “it will be the end of the world if I don’t drink chocolate almond milk right this second and my life will forever be ruined” kind of desperation. I told him that I would LOVE to give him almond milk after he finished his sippy full of water. He proceeded to take minuscule sips and then ask for milk. I proceeded to practice my patience and deep breathing. After nap he finally caved (WaHoooo!) and downed the 10ish ounces of water. I happily changed his diaper, handed him a sippy full of this very much sought after sweet nectar of the gods (a.k.a. chocolate almond milk) and stuck him in his car seat. 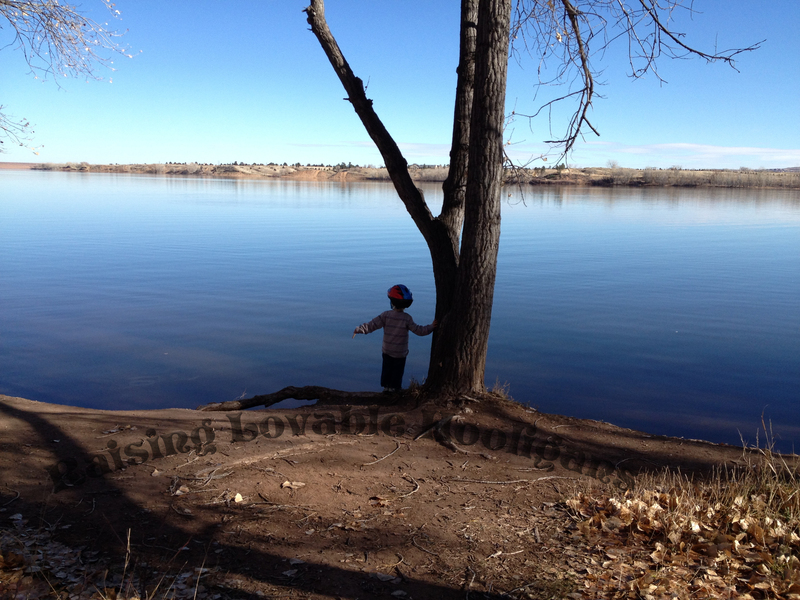 By the time our family arrived at Chatfield State Park the second sippy full of liquid was empty. At this point you’d think some red flags would have started popping. Buuuuuut, they didn’t. Had this happened to my first born I probably would have calculated how long it would take the liquid to move through her system to determine how many diapers I should bring with us on our walk. Then, I probably would have added five more diapers, just in case, and placed them neatly in her diaper bag next to extra water, a bundle of healthy snacks, some educational toys, two outfits, a jacket, snow gear, rain gear, a swimsuit and whatever else I deemed necessary for a short outing in the nearby state park. But, with our son, I figured he’d be fine with 20 ounces of liquid in his system. Hmmmm. 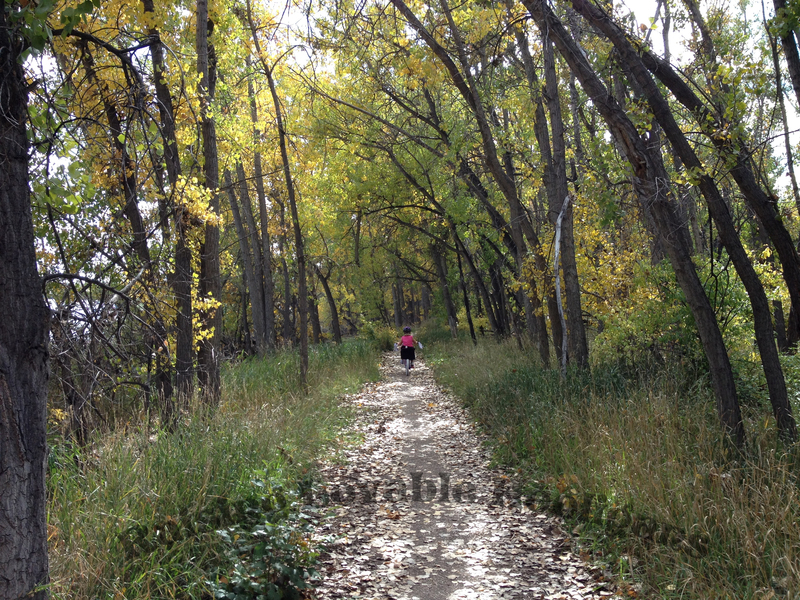 The Jameson picnic area in Chatfield State Park is a fun space. There’s a hill on one side of the parking lot with a few picnic tables settled near the tree line. On the other side of the parking lot you can see a beautiful view of the hogback. 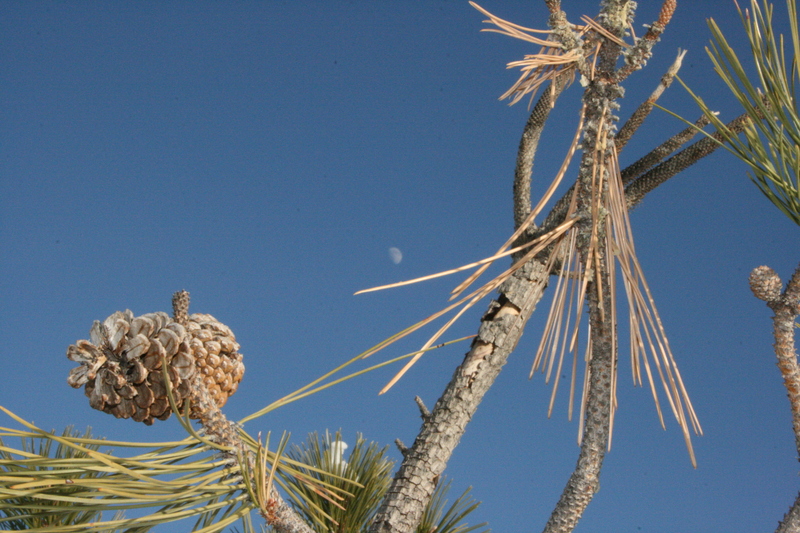 If the day is bright and the sun high above your head, the ridge of the hogback can stand out in sharp contrast against an uninterrupted blue sky. It can look enormous and a little bit protective. It’s as if the hogback is standing in for ancient castle walls keeping enemies at a distance. If you go before a storm, when the clouds are low and the light is hazy, the hogback can look eerie. A barrier that, if crossed, could pass you through to the fantastical worlds you learn about in stories. No matter what time of day, or what type of weather, the view seems to change. This would be a wonderful spot to work on a sense journal (see Teaching Stillness)! If you wander into the trees you’ll discover a secluded little trail that curves along the water. It’s gorgeous and makes you forget you’re right outside of Denver. This spot is one of our favorite spots for “mountain” biking. My daughter rides a two-wheeler you’d see any other kid with, nothing fancy or expensive. Actually, the bike might be heading toward ridiculously small as we hold out just a little longer before buying her a bigger bike. After all, if your knees get bruises from hitting the handle bars that builds character! My son rides a balance bike. For those who are considering training wheels I would highly recommend looking into balance bikes. They are brilliant! These bikes will increase the heart rate of all adults involved but my 3-year-old is able to ride down hills and take turns with admirable skill. Helmets are an absolute must. Well, helmets and a splash of confidence in your offspring are both essential. I’ve learned my kids are quite capable. My little guy has been riding for over a year, which means I’ve been frantically sucking my breath in for over a year, and he has learned so much! My silence has given him the opportunity to test and determine his own limits. 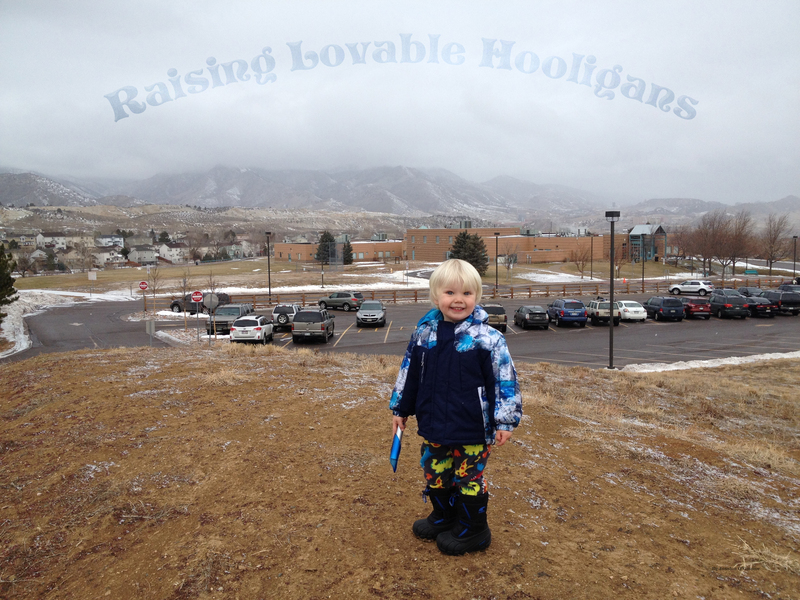 Yes, he’s only three but he seems to have already recognized some limits. He slows down when he starts to go too fast. He actually gets off the bike and walks down hills that he thinks are too steep. He takes corners a little faster than I would like, but his sense of balance and speed seem to be decently honed, at least for a three-year-old. If I determined those limits for him think of all the learning that would be lost (gasp)! It’s given me ample opportunity to Keep my Parental Adrenalin In Check. So, my daughter takes off riding down dirt paths surrounded by tall grass with my son close behind. These dirt paths allow both my kids to ride on uneven, narrow terrain. They have to compensate for rocks, water, varying light, and 180 degree turns with limited visibility. They adore these rides. They enjoy the challenge, develop excellent concentration skills and certainly feel accomplished at the end of the ride. And, I get to actually walk at an adult speed. We were certainly enjoying ourselves. 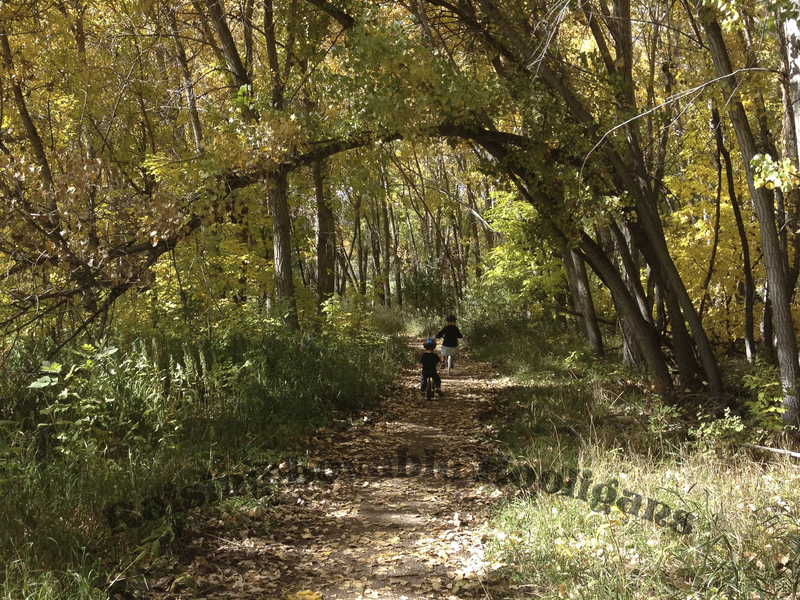 The kids were laughing as they rode over bumpy parts of the path, listening to how their voices change as they sing out. My daughter pointed out different plants and asked what they were called. I had no idea as I’m not a plant person but I fear all these questions are going to force me to become a botanist. So, I took a picture for us to look up later. My son was swiveling between pointing out ants and seeing if the clouds were moving in the sky. My daughter kept asking, “I wonder what’s around that corner?” So, we would ride a little further. Further than my husband and I realized. When we began thinking of dinner, realized the time and distance we had traveled (a good reminder to be aware of your surroundings), we decided we needed to head back. We angled out of the trees and headed for the sidewalk to get back to the car a little more quickly. It was then that it happened. Pants not required when mountain biking. My little man started crying that his pants had water on them. Confused, I ran back to check it out and it was then I understood. The 20 ounces of liquid had returned at the most inopportune time and my son’s diaper had leaked. This diaper could not hold one more drop of pee! He wanted the pants off and he wanted them off now. And, yeah, I get that. Wet jeans are horrible. The day was chilly but not freezing. So, the pants came off. I stared in awe at his diaper but told him to hop back on his bike so we could get to the car and get him in a new diaper. And that’s how we learned that pants are not required when “mountain” biking. My husband went ahead to get the car since we were now moving unbelievably slowly. Being pant-less didn’t stop my son. He would ride for a bit, then walk his bike, then stop to look at a bug. All the while he kept up a running dialog of everything he was doing and seeing. He made me smile and laugh and reminded me that, hey, pee happens but it’s not the end of the world. Pants not required when investigating bugs. When you’re out in nature things are going to happen. No matter how well, or, in my case, how horribly you prepare, things will happen. And, when they do, your kids will look to you to figure out how they should handle unexpected situations. Should they become so angry they simply storm home? Should they allow their frustration to shadow the rest of the outing and ruin the mood of all involved? Do they laugh and talk about how it will be a good story? Do they adjust and adapt continuing as planned? Your response to the unexpected will help them learn how to respond to those types of situations in all areas of their life, not just outdoors. We’ve all known, or been, that person who doesn’t adjust so well when situations don’t go as we planned. So, remember, in life pants aren’t always required. Writing and Reading – Create a nature journal for children to write about their experiences. Younger children: use a journal with blank pages or create your own by combining blank pages. Have your children draw a picture of your experiences outside. Once they have drawn their illustration they can dictate and you can write about their drawing/experience for them. Emerging young writers: use or create a journal where half of the page is blank and half is lined. Instead of using one half-and-half page you can also combine a blank page from a printer and a page with appropriately spaced lines. Have your young writer illustrate and write about their experience. When they are done writing encourage them to read it to you. If you would like you can then tell them you are going to show them how it would look if they were to see their writing in a book. Then correctly write their sentence in small letters underneath their writing. Young writers: encourage them to use their five senses to fully describe their experience. This is a wonderful opportunity to work on the 6+1 traits of writing. If you are not familiar with these here is a quick and easy explanation: http://educationnorthwest.org/resource/503. I have always found that my students and my children are more enthusiastic and focused if I sit down and do an activity with them. So, grab a nature journal for yourself and sit down with your kiddos and write! Plus, if your little adventure took an unexpected turn the journal entries are bound to make you laugh. Write together, share together and grow together. 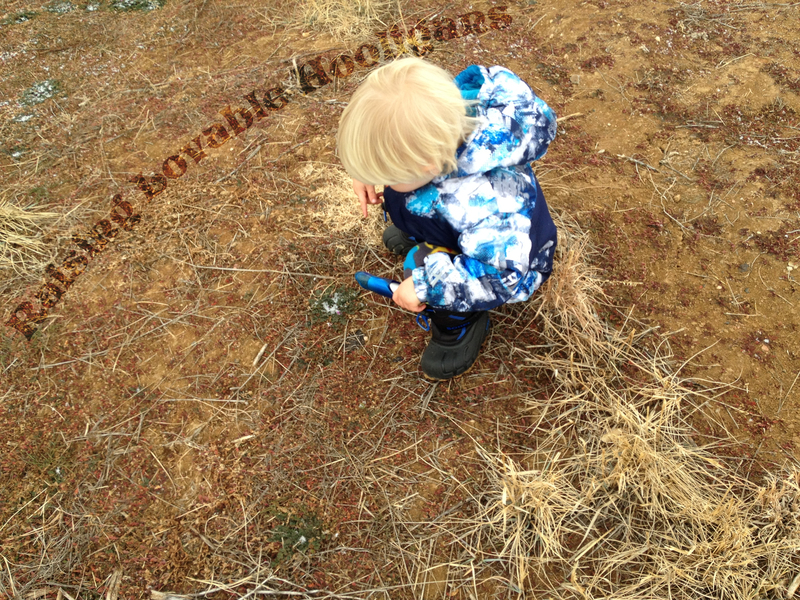 Many children find the animals and/or plants they see interesting. Encourage this interest and create a nature log detailing what animals and/or plants you find along your way. Depending on your time and the interest of the children you’re working with you can have them sketch, color, paint or write about what they are tracking. Use your cell phone or a camera and take a picture of what they have drawn/written about, print off the picture and attach it to their illustration/writing. Using the picture, illustration and/or writing you can use a guide, app, or reference book to learn more about what was captured on paper. For example, my daughter is interested in trees. She constantly asks about the trees we see in our area. When we go out to add to our tree log I have her use colored pencils or, if I’m feeling ambitious, water colors to copy the tree into our log. She then takes a picture of the entire tree, sometimes from multiple angles if she’s excited, and a close-up of the leaves or needles (you typically start by noting the shape of the tree and what the leaves or needles look like). We print off the pictures at home. She attaches the picture on the next page in her log and we use our field guide to identify what type of tree it is. 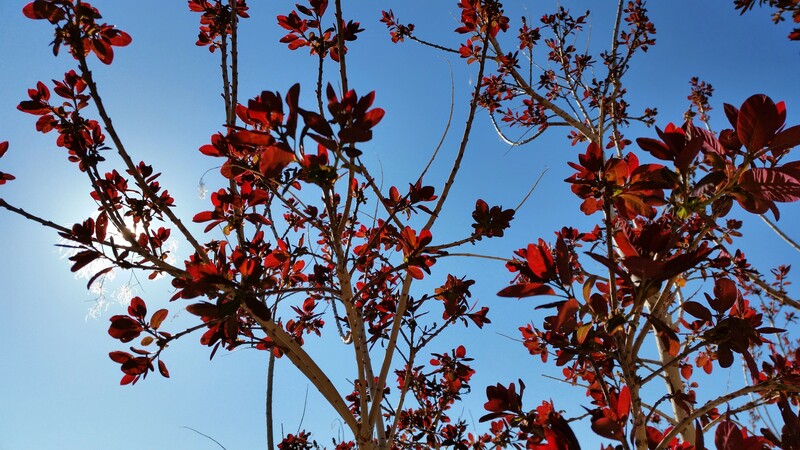 There are apps out there that can help you identify trees. She writes the type of tree it is by her illustration and now she has a reference. You can make a nature log for just about anything in nature: trees, flowers, birds, animal tracks, rocks. Use whatever your child is interested in and go out to explore. Sound faded away as my heart stopped. I sucked in a breath so I could frantically yell, “Get down! What are you doing? !” My precious little boy was precariously balancing on a tree root, probably only millimeters thick. This tiny root holding my 2-year-old was jutting out over angry water that was certainly miles deep and so cold hypothermia would set in instantaneously. Is that gale force wind I feel? Surely the next gust would cause my son to lose his already perilous balance! Then, the oxygen that I gasped into my lungs. The oxygen that was going to give me the power to scream for my son to get to safety, instead, cleared my initial spurt of adrenalin. Ahh, the wonders of oxygen. Let’s take a second gander. One that is not viewed through an adrenalin hazed lens. Perhaps, just maybe, my initial assessment of the situation was a tad exaggerated due to said adrenalin. I still wanted to yell for my little boy to get down but I bit my tongue. He had climbed onto a tree root, one where he could put his feet side-by-side and still have room for another friend. The solid root was holding him about a foot above the shallow water. The water itself was calmly lapping at the shore. And, while the water was chilly, if he took that short tumble I’m fairly confident I’d be dealing with a cold and unhappy kiddo and not one going into hypothermic shock. He wasn’t trying to climb higher, jump or even do the disco on this tree root. He was calmly standing, with a hand braced against the tree trunk, leisurely looking out over the water. Enjoying nature from the root of a tree. I slowly walked over to him. As I peeked over his shoulder I was met with a brilliant smile. He was so proud of himself! Stopping myself from yelling ensured I didn’t undermine his developing self-confidence and decision making skills. My silence communicated my own faith in his ability. Climbing out over the water on this low-hanging root had given him a gift. The gift of confidence and empowerment born out of testing himself. The gift of health and happiness that comes when using your body and mind. He challenged himself and discovered new limits. He used gross and fine motor skills. He saw his world from a different perspective and stimulated his 5 senses. And, he fell a little bit more in love with nature. Every parent wants their child to grow into a happy and healthy adult. We want our kids to be resilient, confident, and creative. We want them to be risk-takers, to stretch themselves and reach for things just beyond their fingertips. Because, without these ventures they will never know their full potential. Without these risks they will never stumble, perhaps a little bloody and out of breath, and look back only to be amazed at what they are capable of accomplishing. Nature provides opportunities to develop each and every one of these qualities. But, sometimes, these opportunities require you to hold your breath, cross your fingers and hope that you won’t be kicking yourself for allowing these little adventures, or misadventures, 5 minutes from now. Today risk has become akin to danger. There is no allowance for the existence of positive, and necessary, risk. Many western societies have become obsessed with keeping children safe. But how safe is too safe? For a week I listened to parents and I reflected on my own assertions, those I actually made and those I bit back. I was startled by all of the yells to, “Be careful!” The disgusted, “Don’t step there!” The frantic, “Too high!” And, one of the most surprising, “Stay out of the dirt!” Wait, what? Positive risk is nature’s way of helping us test ourselves and grow into mature, confident and capable adults. Taking risks help us ascertain how our bodies move and work, what they are capable of doing. Risk teaches us decision making, to weigh danger against reward and understand cause and effect. When we stop children from taking those natural positive risks, no matter how well intentioned, we unwittingly encourage inactivity which can lead to obesity. This is certainly a cause for significant concern. The Committee on Obesity Prevention Policies for Young Children (2011) stated that by the time children enter school 20% of them are overweight and obese. Inactivity due to fear of injury is causing serious, long-term consequences. When you’re out with children take a deep breath and truly assess the situation prior to yelling for them to be careful or stopping them completely. As a parent it is our job to determine true dangers and sometimes we see dangers that are not actually present. Wait just a moment, let your child think, and you will often be surprised at how attuned they are to identifying what is too risky and what isn’t. Constant protection or continuous exposure to dull and ultra-safe environments seems to have negative consequences. According to the Department of Media and Sport (2004), when environments lack stimulation and opportunities of “real” risks children may place themselves in situations where their risk of injury is greater and the play is more violent then if they were able to explore an environment where risk was naturally present. It can be difficult, and you might feel yourself go faint not realizing how long you’ve been holding your breath, but the physical and psychological rewards for your children will be enormously worthwhile. Trees are natures jungle gyms. If your kiddos see a tree and want to climb it, encourage them! My daughter LOVES climbing trees but when she first started out she wouldn’t climb very high at all. In fact, I’m fairly certain when she initially “climbed” as high as she was comfortable she was actually higher when she was simply standing. She slowly went higher, over a period of weeks and months, and now she can confidently climb well above my head. Boulders? Natures balance beams. Whether there is one lone boulder your child wants to climb on and jump off or you stumble upon a field of boulders, let them go play. I’ve watched our kiddos light up when they see boulders! If you’re uncomfortable with letting them go explore then go with them. I know my husband and I have had just as much fun jumping and climbing from boulder to boulder as the kids. Plus, it allowed us to teach them about safety and to point out some of the hidden treasures that you can find in a field of boulders. Since we’re not always out in nature and stumbling into boulder fields consider some opportunities on neighborhood walks. We live in an area where there are retaining walls. All kids love balancing on retaining walls! If one side makes you nervous casually walk next to your kiddo as they try to balance. What about steep hills? We have a couple spots where the hills can be pretty steep. 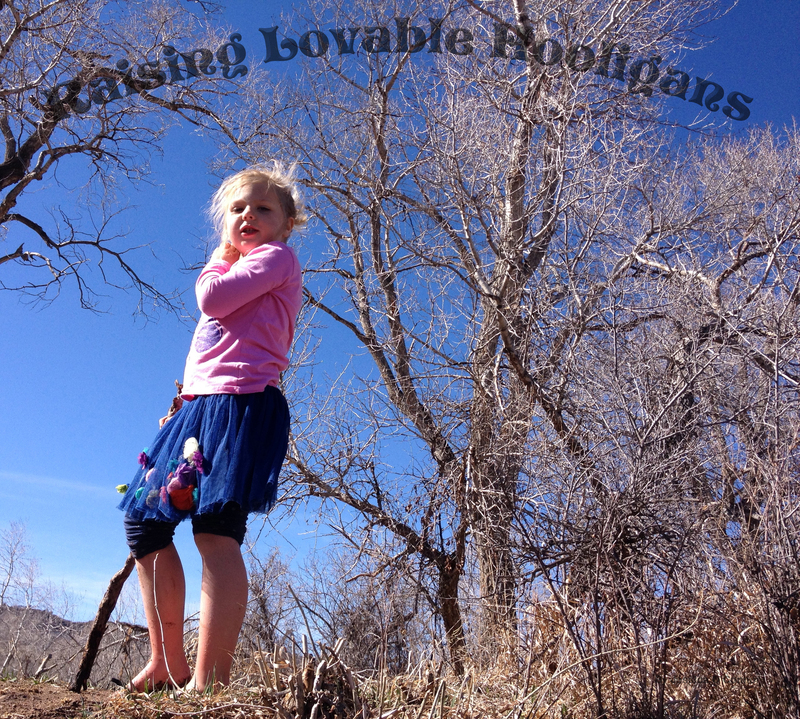 Encourage the kids to run up and down the hill, building muscles and balance as they struggle up and stumble down. What about those drains along the sidewalk for water run off? Talk to your kids about what is underneath them, teach them how to explore those areas safely and they will forever be fascinated by watching the water disappear and listening to rocks bounce off the bottoms. I can jump farther this time! I’m sure of it!!! Lastly, let’s look at our own homes. If you live in a home with a yard, big or small, you can create an environment that will stimulate your kids imaginations while providing some opportunities for risk. We were lucky enough to landscape our backyard instead of inheriting the previous owners design. Or, we lived with a jungle of weeds for 2 years (sometimes they grew as high as my husbands waist!) and completely avoided eye contact with neighbors before we could afford to landscape. But, when we were able to landscape we created a retaining wall out of moss rocks. Best. Idea. Ever. 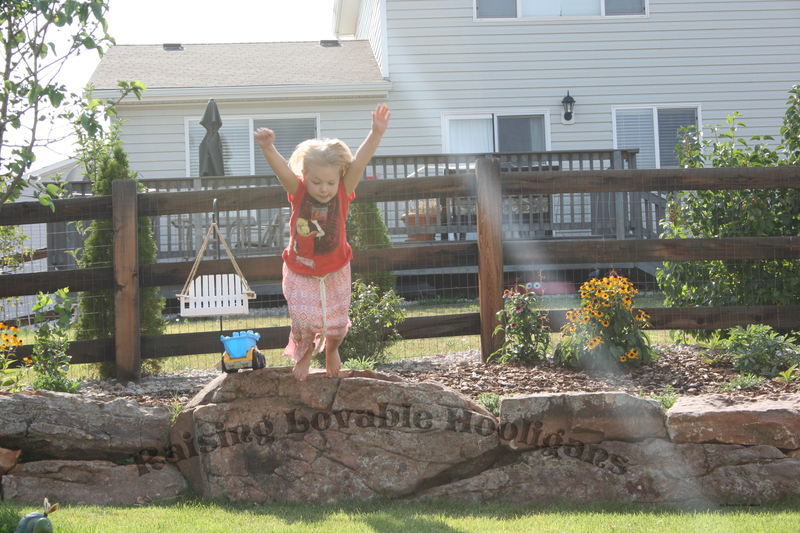 Our kiddos have crawled, climbed, walked, sprinted, danced and jumped all over these rocks. My daughter, who can and will go everywhere barefoot, will scale these things shoeless right after she wakes up. She also enjoys launching herself off of them trying to land farther than she has ever landed before. She has tumbled and scraped her knees but she spends more time on those rocks than anywhere else in the yard. And, she’s learned a great deal about herself and her body while crawling and falling on giant moss rocks. They have been castles, fairy lands, and prisons. They’ve been clouds and canyons, mountains and deserts. So, if you are able. Add something to your backyard to encourage creativity and free play while requiring physical activity. Boulders. Tree stumps. Stepping stones. Random logs. The possibilities are endless. Committee on Obesity Prevention Policies for Young Children. Early Childhood Obesity Prevention Policies. Washington, D.C.: National Academies, 2011. Print. 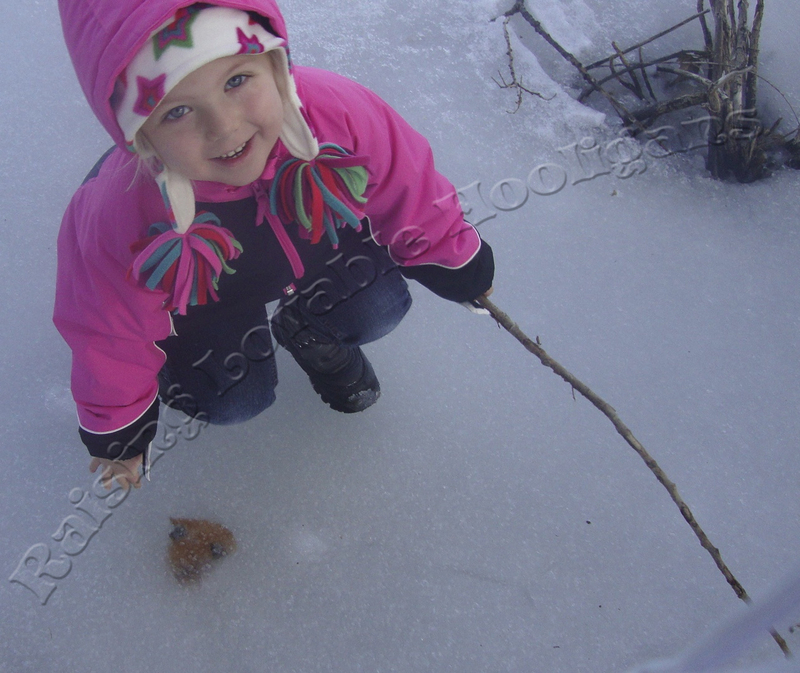 Discovery of a leaf shaped like a heart trapped in the ice! I continually ask my daughter to take a moment. To hold still. Now, for those who don’t know my daughter, and her natural state of continuous motion, this is not an easy thing to ask. But, every once in awhile, I am given the gift of that moment and, miraculously, she becomes still. I see her listen, look, breathe, and stretch her fingers outward. Her busy brain calms, focuses, and revels in that elusive element that all brains need. Time. Time to process. Time to connect. Time to understand. Time to remember. Time to learn. And, time to fall in love with nature. Human beings, young and old, have a need for nature. We are connected to nature in so many ways. We evolved with everything outside our windows. Everything growing, crawling, running, flying. We need the nourishment of the sunlight and the wonder of the moonlight. Our species needs nature and this generation must fall in love with nature. Otherwise, there will be no one left to realize our interdependence and to protect it for future generations. The 21st Century is a busy time and, nowadays, children need to be taught to slow down. They have school, homework, sports, music lessons, computers, iPads, iPhones, and Kindles. They need to keep up with texting, tweets and Facebook. When I was teaching I had my students use their cell phones to track their screen time, type and duration. The project came about when I realized each of my kiddos had a cell phone but not all of them were sure where the sun rises and sets. So, I had a project that I could use to teach various standards, an opportunity for students to see how they were spending their time, and a jumping board for future projects that dealt with the outside world. Win. Win. And win. When we graphed our results the students in my class spent an average of 8 hours a day in front of a screen (television, tablets, computers, cell phones). I was positive our numbers were off until I did a little research. Our numbers were accurate. According to a Kaiser Family Foundation survey cited by the American Academy of Pediatrics, American 8- to 18-year-olds spend more than 7 hours per day with media (Screen time and children, 2011). This will add up to 7 to 10 years by the time they reach 70! I am certainly not advocating against technology and media but there needs to be a balance. And, more importantly, there needs to be a balance with nature. So, my first blog is to offer an idea that is simple, easy and quick. Teaching stillness. And if my energetic little girl can do it, anyone can do it! You can do it in your backyard or a nearby open space. Step outside with your child and hold still. Close your eyes and focus on what you can feel. The sunlight hitting your face. Is the wind a gentle breeze or are the gusts bringing in a storm? What do you hear? Birds calling to one another? Water gurgling over winter ice? Only the blasts of a strong wind? The silence that comes with a snowfall? Open your eyes and take a moment to really look around you. Do you see the winter robins (not all of them migrate!)? Are the clouds moving quickly or slowly? Is the grass bowing with the wind? Walk around and touch a few things, it doesn’t really matter what. The bark of a tree. The surface of a boulder. The blades of the dry grass. The smoothness of backyard ice. If you do this with your child often they will begin to do it independently. My daughter will randomly mention the color of the mountains or yell for me when the sun is setting. My son is always watching to see if the clouds are moving. 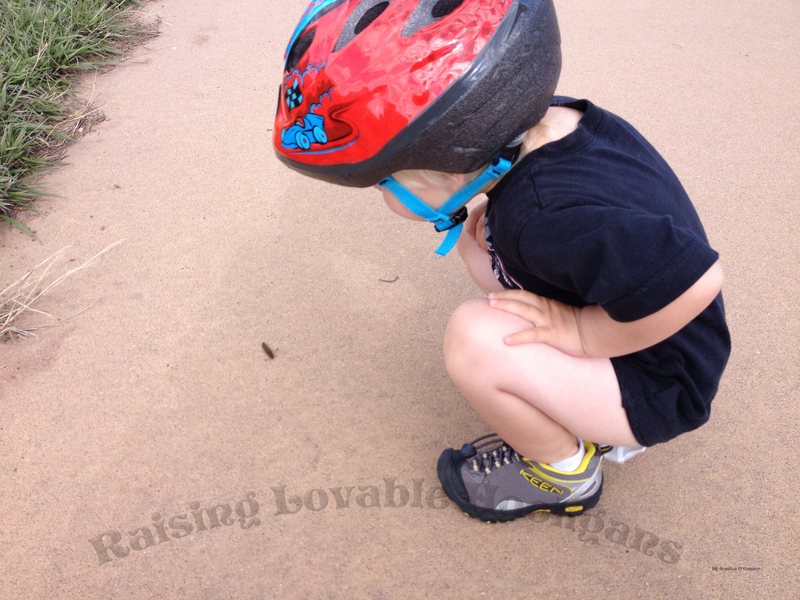 We must stop 50 times on bike rides to look at all of the bugs they see crawling on the sidewalk. The first step to learning about and loving nature is to simply notice that it is there. Depending on the age of your kiddos you can have them draw pictures about what they noticed, write about their experience outside, or take pictures to print off and glue into the journal. Try observing the same location for a set duration and at the same time each day. Then, change the time but keep the location the same. Notice similarities and differences. For example, go into your backyard at 6pm each night, Sunday through Saturday. The following week go into your backyard at 6am, Sunday through Saturday. Spend a minimum of 5-minutes (about 1 minute per sense depending on if you are going to try to incorporate taste). Record observations in your journal. Choose various locations but keep the time of day the same. For instance, each day at 6pm for one week spend time observing, with your senses, different locations. Your backyard, a friends backyard, a local park, a local open space, a state park. Record your observations in your journal and discuss the similarities and differences. For those of you who have family or friends spread around the globe do the experiments together! Each group observes their individual locations but at the same time. It could be each of your porches or an area that is unique to your region. Use Skype to share what your senses picked up. Children can draw pictures of what they saw and show them on Skype or simply talk about it. Excellent for developing speaking and listening skills. If your child is older you could do this via email. It would be wonderful practice for their typing, writing and communication skills! Or, simply go outside as a family. Take 5-minutes to enjoy and notice what your senses pick-up and then chat about it with each other. It’s amazing what my children notice that I do not. It’s fulfilling watching them get excited about their discoveries. And, it’s nice having a short amount of time where all of our attention is on the moment, nature and each other. Moon Sighting! Taken at a neighborhood park. 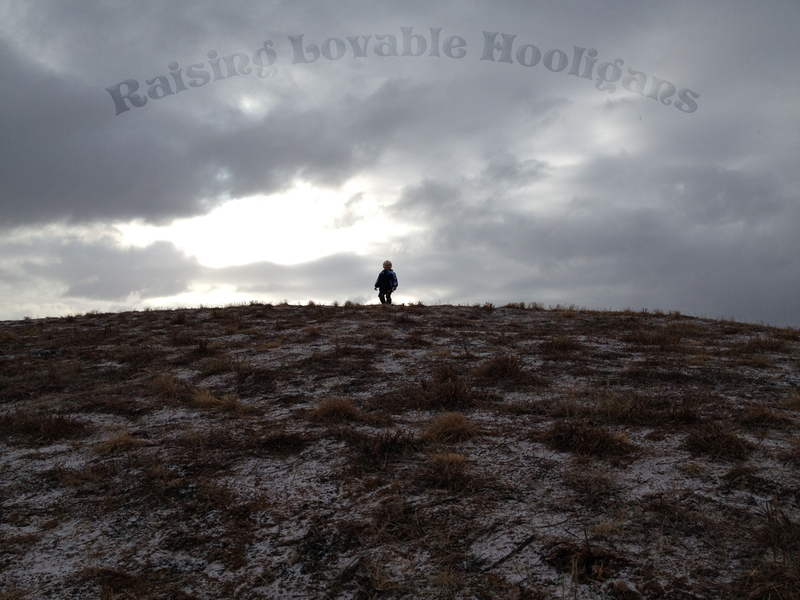 I am a nature-lover who wants to share that passion with my children. I am currently staying at home with my kiddos and am constantly looking for ways to maintain my sanity while continuously reading “Mr. Brown Can Moo, Can You?” and listening to the monologue of my 6-year-old detailing every thought that goes through her creative mind. My last “how do I not go insane” venture was earning my Master’s in Education which exhausted my GI Bill forcing me to find my sanity elsewhere. To meld my M.Ed. and my love of nature I created this page. I will share what I learn from our own adventures, offer ideas for incorporating outdoor activities into busy schedules, and note the research that is constantly being published revealing the importance of incorporating nature into every childhood… and every adulthood.